Monique Williams, a past student of the St John’s RC School is the latest recipient of the Anslem Peters Scholarship Fund. She began her secondary school education at the St John’s Christian Secondary School. The APSF started in 2006 as the Cuthbert Peters Scholarship Fund, with Anslem Peters, son of the late Cuthbert Peters, as its main benefactor. Last week Thursday Willams, along with other beneficiaries of the fund met for the first time with coordinators of the assistance programme. For the past 8 years the fund has been successfully managed by a two man committee, Sir Carlyle Glean and Lauriston Hosten. It assists the students with the purchase of books and uniforms, the payment of school fees, and transportation to and from school. 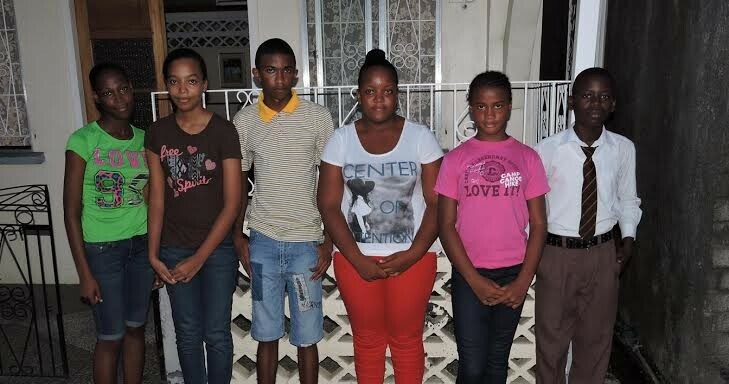 The recipients of the fund are students from parish primary schools who have successfully passed the Caribbean Primary Exit Assessment (CPEA), formally the Common Entrance Examination, who are considered to be financially disadvantaged, and who possess a strong desire to learn. To date, ASPF has assisted twelve students in attending secondary schools in St John, St Mark and St George, of whom 5 have since graduated. The most recent graduate is Shonia Douglas who attended the St Joseph’s Convent, St George’s. Douglas passed 7 out of the 8 Caribbean Secondary Examination Certificate (CSEC) subjects she sat during the 2014 Caribbean Examination Council (CXC) examination period. During the meeting, members of the committee disclosed that recipient Keishona Passee, student of St Joseph’s Convent, is now in Form 5 and will sit 12 CSEC subjects in the 2015 CXC examinations. The committee meets once a year to evaluate the year’s performance of the students, to welcome new students and bid farewell to the graduated students. The opportunity is also taken to hear from students and parents regarding the past year, and to present a pep talk to students and to parents encouraging them to monitor their child, so they can maintain a relationship throughout their study life.